I feel vulnerable and somewhat uncomfortable writing this post, but I have experienced a breakthrough, and I’m hoping that by sharing this story, I will inspire and invite more of the same into my life. You see, I am a closet pianist. I say “closet” because hardly anyone hears me play. From the way I hide my playing, you’d think I was ashamed of it and perhaps I have been, in a way that makes no sense whatsoever. 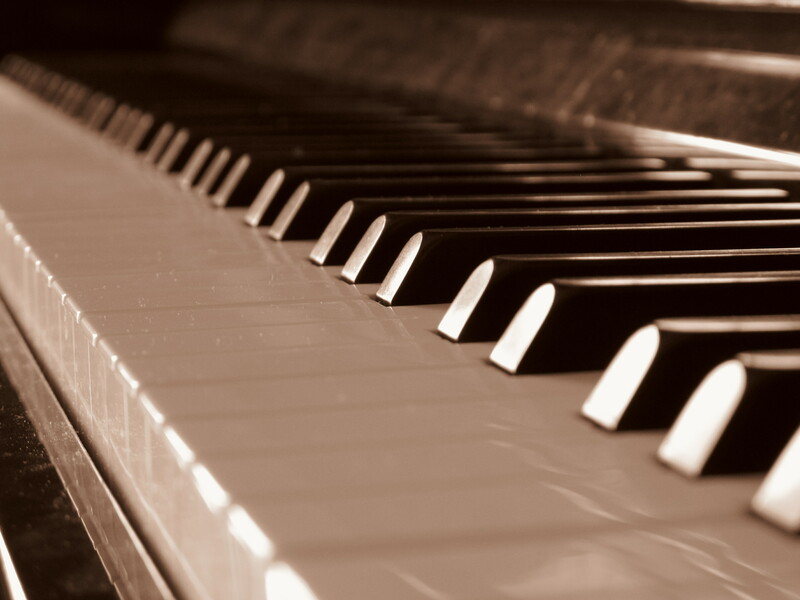 I have after all, many years ago, completed Grade 8 in piano which should indicate some level of skill! But somewhere along the way, I started to believe a few things…. that I wasn’t particularly good, that I perhaps didn’t deserve my Grade 8 qualification. Not sure who actually uttered those words, but I certainly heard them enough times so they stuck and have defined my playing ever since. My children are now learning the piano which has unexpectedly re-ignited my passion. I heard “The Swan” by Saint-Saens on YouTube one day and felt really drawn to it. 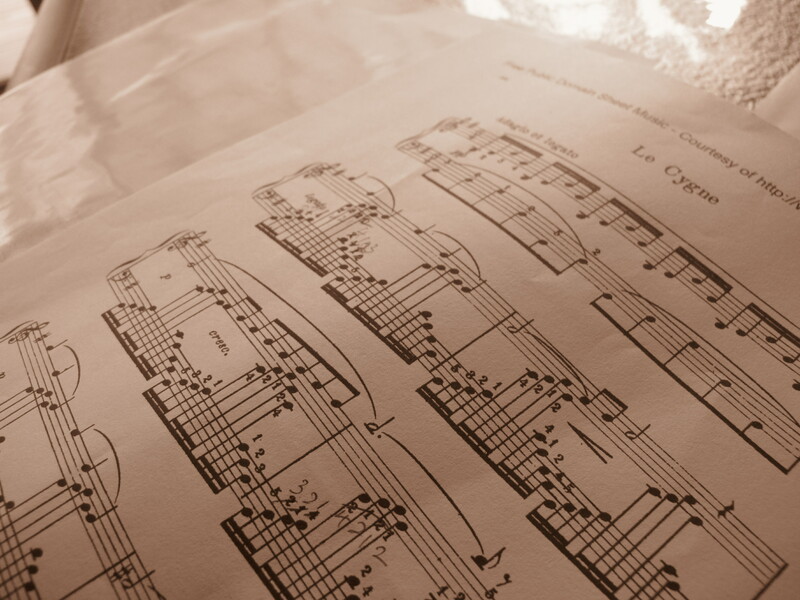 When I found the sheet music, I was despondent. I thought the left hand was a little too much hard work, but then decided to give myself a push (or more like a shove!). I am a coach after all. If I can coach people out of their limiting self-beliefs, I most certainly can do some work on my own! So, I’ve been learning the piece, playing it, surprising myself a little each day. It seems I can actually play the piece. I started digging around some old books recently and found to my greatest surprise (and embarrassment), that I’d had the sheet music for “The Swan” for 25 years. It was in a book that I regularly played but had decided at some stage that it was too hard. So, unwittingly, I’ve proven to myself that I can overcome a self-limiting belief. Last week, I attended the Suzuki Music festival with my son and was inspired. The philosophy behind Suzuki music is that every child has the potential for talent given encouragement, the right environment and persistence. Suzuki students play by ear and my other limiting belief is that I am unable to play any music of consequence without sheet music. So I’ve decided to challenge myself in a very public way by sharing this story. I will learn and play “The Swan” by memory. I am anxious because in spite of how much I psyche myself up, I no longer have the technical skill I used to, when practising three hours a day was commonplace. But, “The Swan” isn’t the most difficult of pieces and I believe what I’ve set myself is achievable. It may take a little while and I will probably stumble and get frustrated along the way but I will do it. So, let me ask you…. what are your self-limiting beliefs and will you join me in challenging yours? I would love to hear your story and perhaps we can travel this journey together. Update May 2014 – I now play this piece by memory. It took 3 years but I did it! Are you living up to expectations, or down to it? This is a beautiful sharing of the story of limits we often place on ourselves. I’m not brave enough to share mine just yet, but wanted to let you know how much I appreciate your sharing this with us, to help us attain mastery of self limits we have. Thank you. Thank you Joel. Comments like yours makes it worth the effort (and courage) to share! Thank you for sharing! I find it fascinating how almost everybody does this – we convince ourselves we can’t do something, or won’t do it, for whatever bizarre reason, and we believe it, and so we just don’t try or we give up too soon… but in truth, I think most people are capable of far more than they can see or admit! I used to play piano too, although nothing like the standard you’re clearly at, and I know that if I really made the effort I could do the things I don’t try because they’re “too hard”. Glad you enjoyed the post enough to comment Stace! The funny thing is, the reasons we use to convince ourselves are, as you say, “bizzare”. If only we could put these reasons aside, imagine the possibilities! I so appreciate your sharing. It will give others encouragement to dig into the boundaries we create around our lives. Hopefully, it will encourage others to push through those limitations as you are doing. Well done. Thanks for your contribution Peggy. I always appreciate your thoughts and comments! Hugs to you too. I’ve been there, done that, was my first thought. Never ran. Started running, now have 4 marathons under my belt. But then I started thinking… What other things should and could I be doing if I was brave enough. Maybe finish college? Maybe expand my business? Write a book? I am not sure I am qualified, but maybe I am. Thank you for the great blog post and encouragement. It’s amazing when you push through the first hurdle. The world and its possibilities open up! Thanks for sharing your story Dorien. Very inspiring story Mi! I have a son who is very talented at remembering music. Before he stared taking piano lessons this year he was able to play the “Harry Poter” movie theme just with his ears and few fingers. At the beginning the teacher gave easy pieces to learn the reading and fingers and said my son was extremely good. Then she decided after few sessions to give him Pachelbel’s canon in D Major. Since then my son doesn’t play much piano at home by himself as he used to do. Somehow my son convinced himself he is not that good since he cannot read and play without making mistakes. Giving too much stretch goals is also extremely demotivating. Finding the right balance is not easy and a good teacher or coach should feel how much challenge is appropriate. Thanks for sharing your son’s story Anne, and I agree that goals that are too much of a stretch can sometimes be demotivating. Thanks for sharing your story Mi. I remembered a relative who once called as “closet” musician when he was a kid. He doesn’t like the idea of sharing his music to the world before. Until he met his wife. Their relationship motivated him to stood up and show what he got. Now, he writes love songs and performs in our local church as a singer, pianist and sometimes a violinist when invited at weddings. Hi Blake, great to hear your relative “found” the motivation share his music! Hi, I really liked your story. Thanks for sharing. Thanks Yvette. Re-learning with your daughter is a great idea! I think one of the issues with those of us that have at one time achieved a very high technical skill level is that we expect to remain at that level without the same effort that got us there in the first place. That unfortunately isn’t reality. Even maestros put in hours and hours of practice! It was great meeting you too!